Check out this new chef uniform! 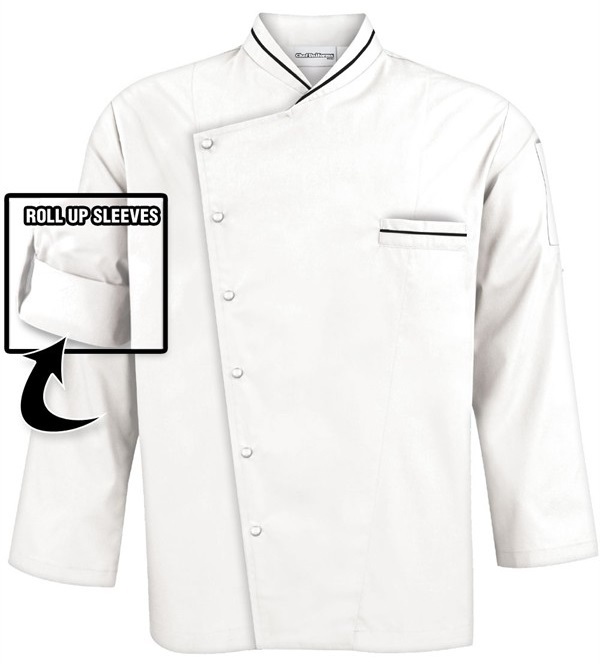 Exclusive traditional fit chef coat with snap front, chest pocket and thermometer pocket on sleeve. 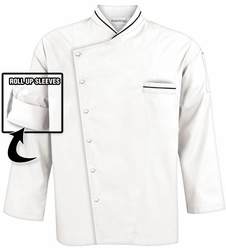 Adjustable roll-up sleeves. Tailored cut with back tuck gore and underarm vents. Premium fabric 65/35 poly/cotton fine line twill. 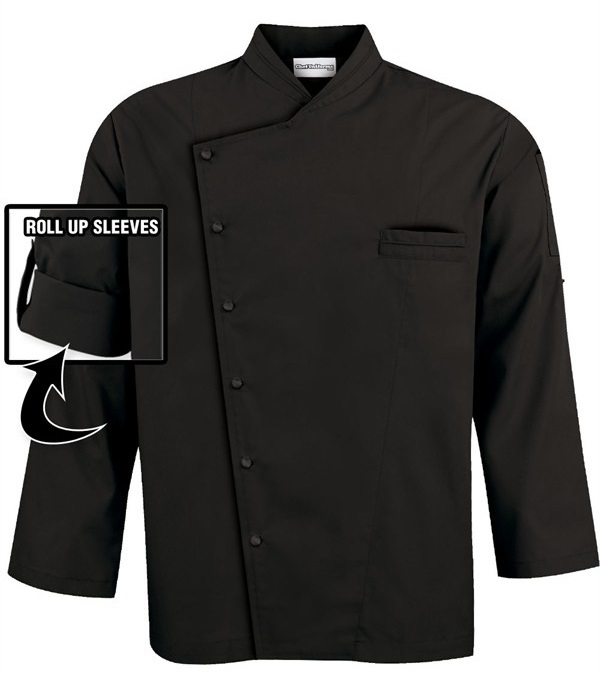 Affordable Quality and Elegance Befitting an Executive Chef! Allow EXTRA 7-14 days to ship.